We are the GCC distributor for some of the leading brands in golf, including Titleist, FootJoy and Ping. In apparel our portfolio includes Greg Norman Collection, FootJoy, Ping Collection and Cambridge Classics. In sports we distribute Gilbert Rugby and Netball ,Gray-Nicolls Cricket and Grays Hockey. Our optics department represents Bollé and Bushnell. 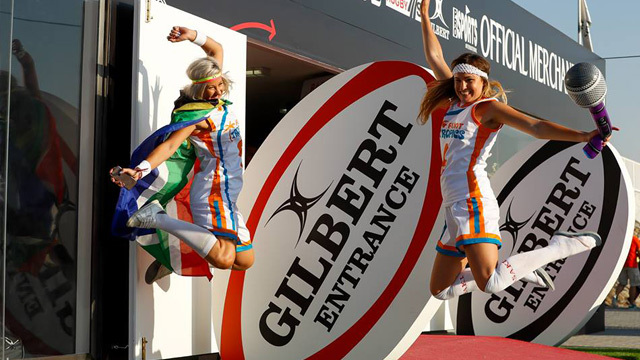 We are also the official Merchandiser’s for many events throughout the Middle East including the Emirates Airline Rugby 7s, DP World Tour Championship and the Qatar Masters. Prosports ethos has always been to be the ‘best in class’ distribution company that supports the region with a high quality of service that complements some of the leading sports brands in the world. We strive to be the service provider of choice whether for corporate needs that will custom fit our local or International companies, leading golf clubs or sports retailers throughout the Middle East along with supporting major sporting events that enhance the exposure of the region.